This level is hard and need special combos and striped candy to break blockers on left part of the board to take ingredients to the bottom of the board. 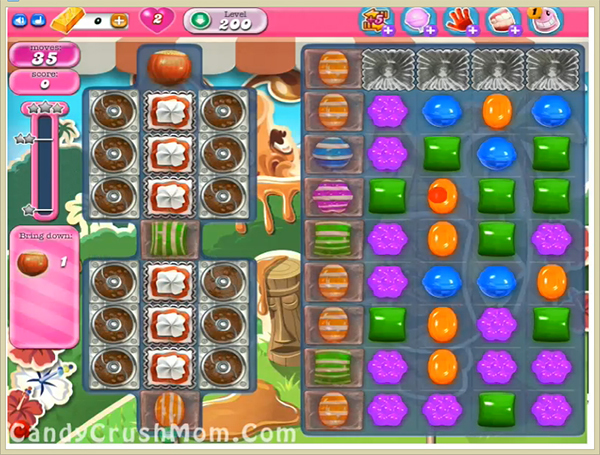 First try to make striped candies and break vertically or make striped candy with wrapped candy combo or colorbomb with striped candy combo to break all blockers. We completed this level with 136960 score using special combos that help to reach requirement within 36 moves that help us to get two star score.